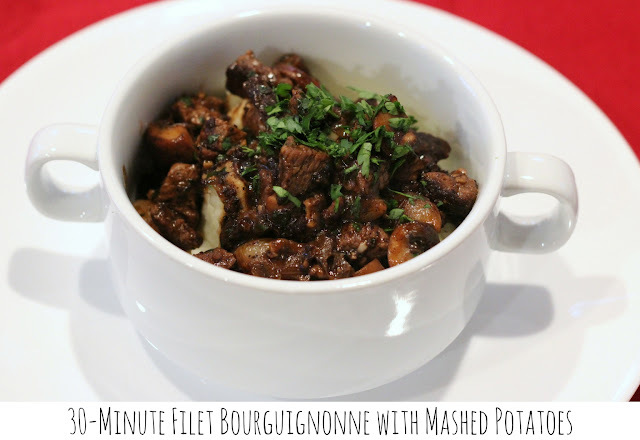 30-Minute Filet Bourguignonne with Mashed Potatoes. This Cooking Light Diet dinner option is AMAZING! 8 Weight Watchers Freestyle Points per serving.